Jeezo, must stop reading this website at work. That last post made me laugh out loud. Pissinthecupboard, you are a ledge. I knew a bloke who lived in Walton-on-the-Hill and this was his favourite pub. Even my 19 year old son with his mates appreciates the old fashioned values and décor, along with "the Gumpy Landlord"
So come on guys and girls use it or we'll lose it, and end up with another plastic foodie pub! Just a though has anyone noticed the newly refurbished Blue Ball has a very similar internal decoration policy I.E random photos and pictures plastered all over the walls, Methinks they are trying to copy "The Rat"
Walked in to be told "Dogs that side" by the grumpy barman. Said we were welcome last time and was given the curt response "not any more". Walked out again. Beer garden consists of a few decrepit benches in a woodland clearing. 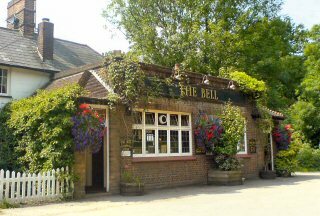 Has a satisfyingly traditional layout and serves some well-kept ales from the Marstons stable. Staff were friendly and interested, and the Brakspear bitter was very good but not truly excellent. Music was perhaps a touch loud, but then it was a Saturday evening. Definitely worth popping in for a pint of a weekend. Might be a bit quiet during the week.